This free report will help you quickly find out which contacts have not been used in your email messages, tasks, calendars, or other Outlook items for a long time. 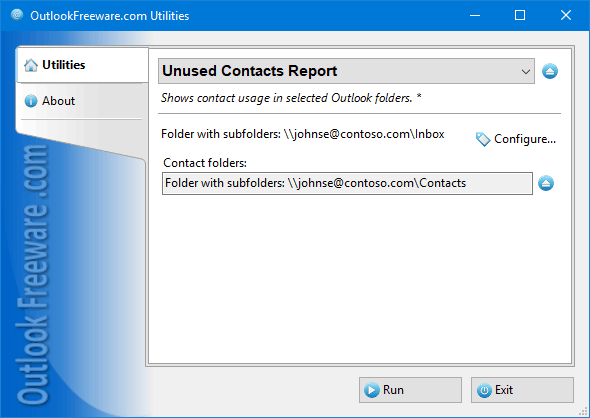 To see a list of unused contacts, select folders with email messages or other Outlook, Exchange Server, or Office 365 items. These folders will be searched for email addresses from selected contact folders. If necessary, specify a date period and where to get email addresses.